Motivating guys to be curious about words, books, and life. Much has been written about boys and literacy, and national attention has been given to many studies where the findings confirm that young males lag behind their female counterparts in reading. In fact, eighth grade boys are 50% more likely to be held back than girls. Educators, librarians, researchers and parents are concerned about the future reading habits of our nation’s boys. So is Jon Scieszka, former National Ambassador of Literature for Young People. But instead of being intimidated by these statistics, Scieszka decided to do some research of his own. He went out and talked to boys. What did he discover? That boys do read, but maybe not enough, and not exactly what the teacher assigned. 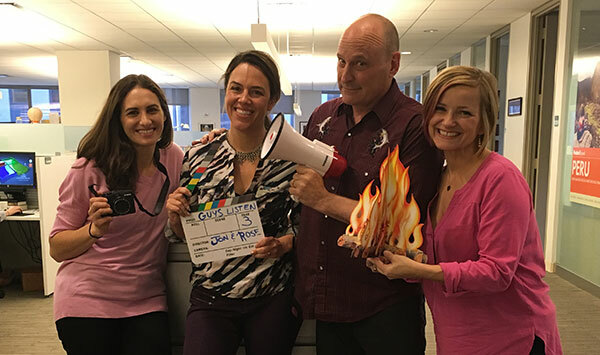 These conversations led Jon Scieszka, bestselling author of The Stinky Cheese Man, The Timewarp Trio, the Frank Einstein series, and the Trucktown Series, to begin the national literacy initiative GUYS READ. 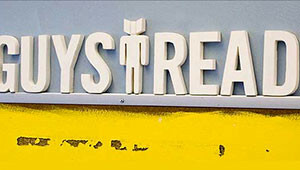 His mission is clear—he wants to entice guys of all ages to become readers by letting them choose what they want to read and by expanding the traditional definition of reading to now include: nonfiction, comics, comic strips, graphic novels, humor, magazines, newspapers, and online text. In addition, the goal of this project is to provide boys with role models for reading at home and at school and to encourage boys to recommend books to other boys. As GUYS READ evolves, boys continue to contribute their ideas of what reading is to them. For many, audiobooks are seen as an appealing, alternative format to printed books. 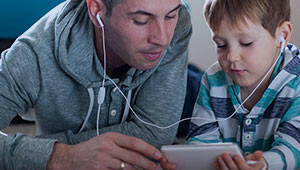 Because audiobooks provide a favorable option for boys, the GUYS READ literacy project expanded to include GUYS LISTEN. 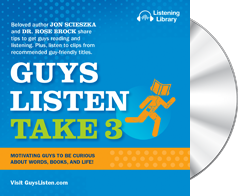 Enticing boys to tune into a fictional story or nonfiction work is at the heart of the GUYS LISTEN project. For some, choosing to listen to an audiobook rather than flipping through book pages will be more interesting, more rewarding, and even more educational. Audiobooks make guys focus on listening, which strengthens their processing of auditory information and lengthens their attention spans. 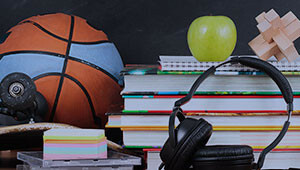 Plus, audiobooks provide good reading role models and through this model of fluid phrasing and cadence, guys will be assisted in their comprehension. Supporting listening as a valid educational experience can help move guys down a path where literacy and achievement will come together to bridge the gender gap that currently exists in reading. GUYS LISTEN builds on the successful foundation of GUYS READ. Through the Guys Listen site boys of all ages will have a place to explore new possibilities in the world of listening. Most importantly, guys will be encouraged to take risks by embracing both written words and spoken words. And that’s what this is all about…motivating guys to be curious about words, books, and life. Listen now to find your favorite titles! Request a FREE CD Sampler! Stay Informed about new audiobooks, interviews, contests, and more.